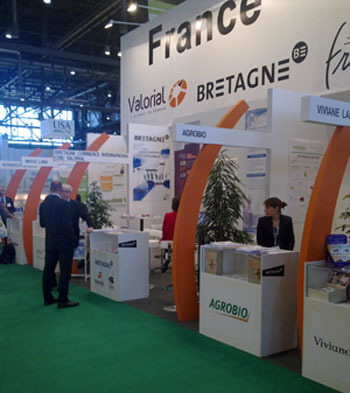 Home > Vitafoods 2013 under the France/Valorial/Brittany/Pays de la Loire flag ! 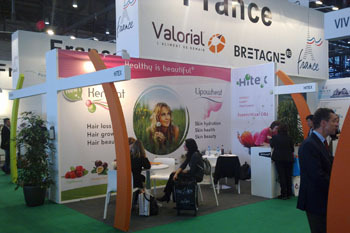 Vitafoods 2013 under the France/Valorial/Brittany/Pays de la Loire flag ! Key event to meet professionals from the sector of ingredients for health and nutrition, Vitafoods Europe took place in Geneva from 14 to 16 May 2013. 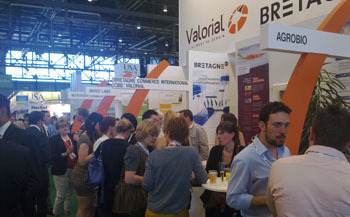 Promotion, business, intense networking… Once again, Vitafoods obtained unanimous agreement from all the companies under the France/Valorial/Brittany/Pays de la Loire flag, on a total area of over 200m2. With over 30 exhibitors, including 13 members of Valorial, France and Western France in particular could enhance strengths, expertises and innovation. 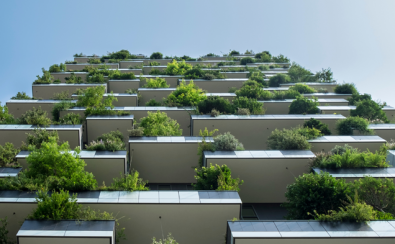 Co-Organized with Bretagne Commerce International, the SPPL and UbiFrance, with the support and participation of CBB Developpement and CRITT Santé Bretagne, this collective action contributes effectively to the dynamic “network” of the cluster and strengthens its leadership in this sector. Meet next year from 6 to 8 May in Geneva !